Prelude is a romantic thriller and a cautionary tale that provides a startling reinterpretation of contemporary events. 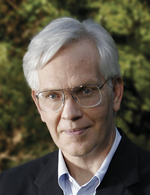 In the tradition of Upton Sinclair, Michael Crichton and Margaret Atwood, this novel deals with a major public issue, one that will have an impact greater than the fall of the Berlin Wall and the 9/11 attacks combined. The arrival of world peak oil production will challenge humankind as never before and profoundly alter our lives. Some experts say it is only a few years away. 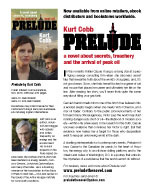 Prelude follows Cassie to the Canadian tar sands; to the heart of Houston, the energy city; to an offshore drilling platform; and to the streets and suites of Washington, D.C. in a journey that unlocks the mysteries of a substance that the world cannot do without.